I have very exciting news! I am honored to announce that I will be one of nine new media journalists heading with The International Reporting Project to Ethiopia in June to report on newborn health. The announcement was made yesterday and I can hardly wait to start researching and learning all I can about Ethiopia. The International Reporting Project (IRP) is based at The Paul H. Nitze School of Advanced International Studies (SAIS) of the John Hopkins University and the primary goal of the IRP is to provide journalists with the opportunity to report internationally on issues not traditionally covered in mainstream media. I will be one of nine new media journalist fellows heading for a two-week trip to Ethiopia to report on Ethiopia’s efforts to prevent newborn deaths as well as provide an overview of maternal and child health, immunizations, nutrition, communicable diseases, and health care provision, among other topics. 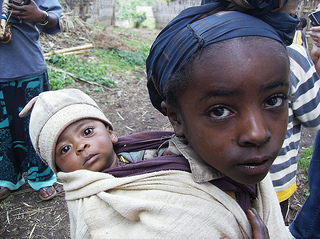 One of the areas that I am most excited to learn about is how Ethiopia, one of the poorest countries in Africa, has stunned the world community by achieving Millennium Development Goal number #4 reducing the mortality rates of children under age 5 by two-thirds well ahead of the 2015 deadline. 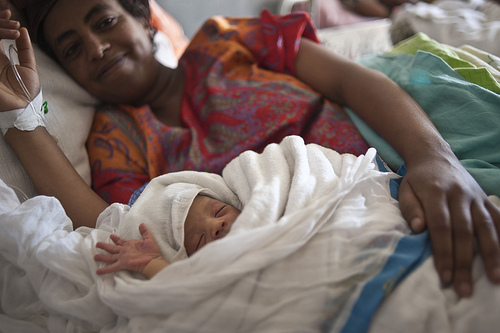 In a country in which 95% of the population lives outside of an urban center in rural, remote and hard to reach areas and a shocking 90% of women birth at home without a midwife, Frontline Health Care Workers (FHCW) have been the key ingredient to Ethiopia’s success. I am really excited to meet some of these workers and mothers and share their stories. I am sure it will be a life-changing experience. While in Ethiopia, I will examine Ethiopia’s political, historical, socio-economical and cultural dynamics to report on this misunderstood country, setting the stage to shed light on the massive effort introduced by the Ethiopian government to achieve MDG4 and what the impact has been on other critical areas such as newborn and maternal health, poverty, and other Millennium Development Goals. As one of the most diverse populations in the world with over 83 distinct languages and 200 dialects, Ethiopia shares a unique history, society, culture, environment, economy and governance that is unlike her neighbors. I am honored to be selected to go as a reporting fellow to Ethiopia and share my knowledge with you all in the coming months. That is such wonderful news. I am so excited for you. Congratulations! congratulations and good luck! i’m online for a short time and am glad i saw this. haven’t checked to see if you get otto’s posts – surely you do – about the famine and predicted disaster… i am hopeful that you’re able to make a difference and help these people in desperation. Thanks Lisa! I am so excited about this opportunity!!!! Oh, wow, good for you Nicole, congratulations! Such a wonderful exprerience. I’m looking forward to see your reports. Thanks Jaime! I appreciate your continued support! It’s a true pleashure for me to enjoy such a genuine and delicately-developed blog as yours Nicole. My best wishes and success for you! Oh thanks so much Jaime! Congratulations, that’s marvelous. Your advocacy is blossoming. So happy for you Nicole! Can’t wait to read all about it in June. Congratulations, Nicole, what a great honour! Have an amazing and interesting time in Ethiopia! I am also looking forward to read about the experiences you will be going to make over there. Thanks Vanessa! I am very excited about this trip! Congratulations, I bet you are excited what a challenge. Thank you! Yes I am! Thanks Len! Hope you and Kirsten are doing well! I’m excited for this new opportunity! Congratulations! What a wonderful adventure. SO exciting for you, Nicole — I’m swimming in envy and can’t wait to read your posts from Ethiopia!! Mazel tov!!!! Fantastic opportunity! Can’t wait to read your posts about this. So excited for you, Nicole! I cannot wait to follow along and hear about what you learn. What an incredible opportunity, Nicole. I’m jealous, but SO, SO HAPPY for YOU! Congratulations, my friend! Thanks so much Kathy!!! These trips are open to any new media blogger or journalist. All you need to do is apply!!! Thanks Nicole for u are blogs, I enjoy reading, Espeacily u are last blog about the Somali mom, and her journey to America. You’re welcome! I’m really enjoying my time in Ethiopia. I have one week more and have loved the people here and it is a very beautiful place.